Paul joined Eastside in 2005 as a Venture Partner. Previously, he served as a Managing Partner at Southeastern Technology Fund. 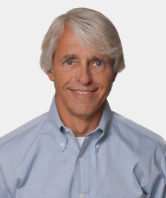 Paul has over 30 years of experience founding, operating and investing in Healthcare companies. Paul assists Eastside’s companies by advising management teams on critical operational issues, including sales, marketing, executive recruitment, strategic customer and partner introductions and engaging in exit processes. Paul was a founder and the CEO of TXEN, a healthcare information technology company which provided IT and administrative back-office services for the managed care and physician practice industry. TXEN’s customer base included over 100 managed care clients, over 3,000 physicians, and over 6 million managed care members. Paul grew TXEN from a start-up company to over 700 employees and $70 million in revenue during an 8-year period before selling the company to CSC. At various points in his time at TXEN, he managed sales, marketing, customer service, customer training and software development. Prior to TXEN, Paul was an Executive Vice President at SEAKO, a healthcare IT company that licensed software to the practice management and managed care industries. While at SEAKO, Mr. Reaves built the company’s sales and marketing organizations. Mr. Reaves currently serves on the Board of Directors at Hygia, AccuReg and ProctorU. Previously, he served on the boards of Accelarad, Emageon, A-Life Medical, MedMined, Awarix, Best Doctors, TXEN, NationsTax and Castlebridge. Paul received a B.S. in Business from the University of Alabama in Birmingham.